Get a leg up on tonight’s dinner service, hours before your first guest walks through the door. See who’s coming in, prepare for VIPs, and know what items will be hot tonight. It’s like your reservations, table management, and point of sale all had a baby. 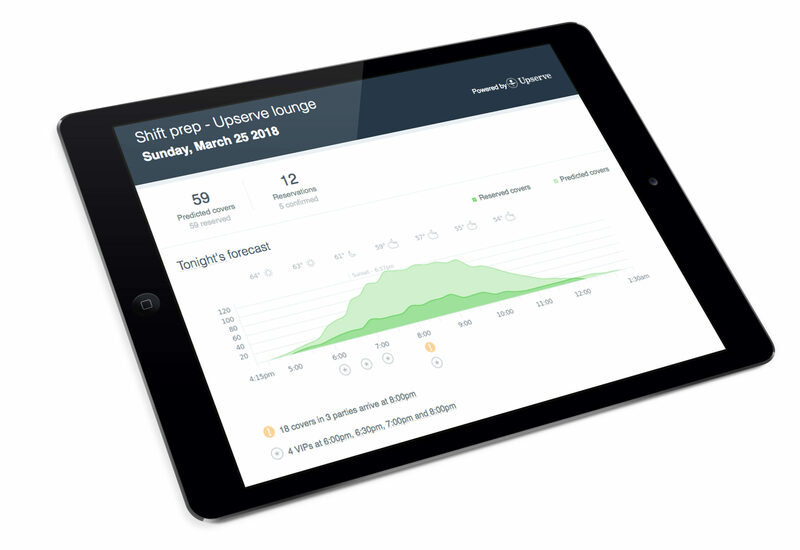 In the critical hours before service begins, Shift Prep predicts how many guests will visit tonight by considering reservations, past results, holidays, the weather and nearly 20 other factors. Prevent problems from boiling over by knowing what’s going to happen, before it happens. Empower your managers and your staff before guests arrive, with information like how many covers are planned and which table is celebrating an anniversary. 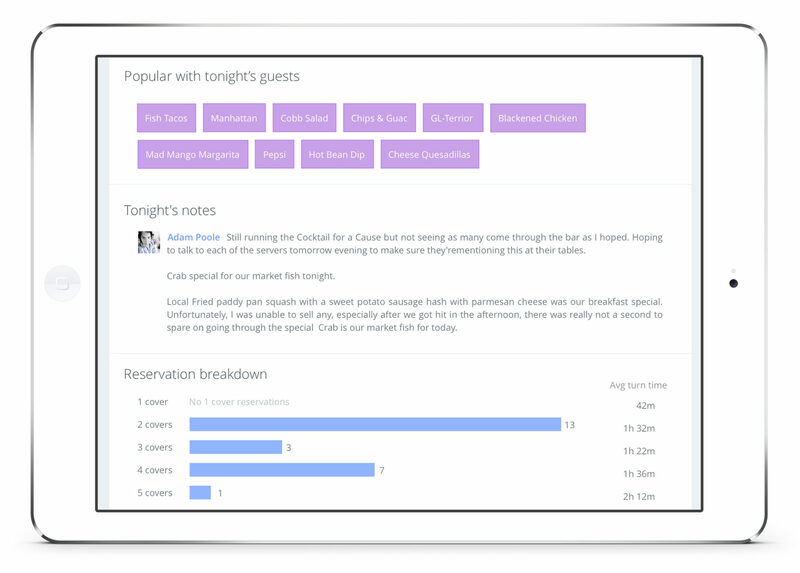 Upserve pulls insights from past dining data, reservations, and more, so you can make sure your VIP’s preferred entree is ready to be fired, and their favorite server can welcome them with their go-to glass of cabernet. 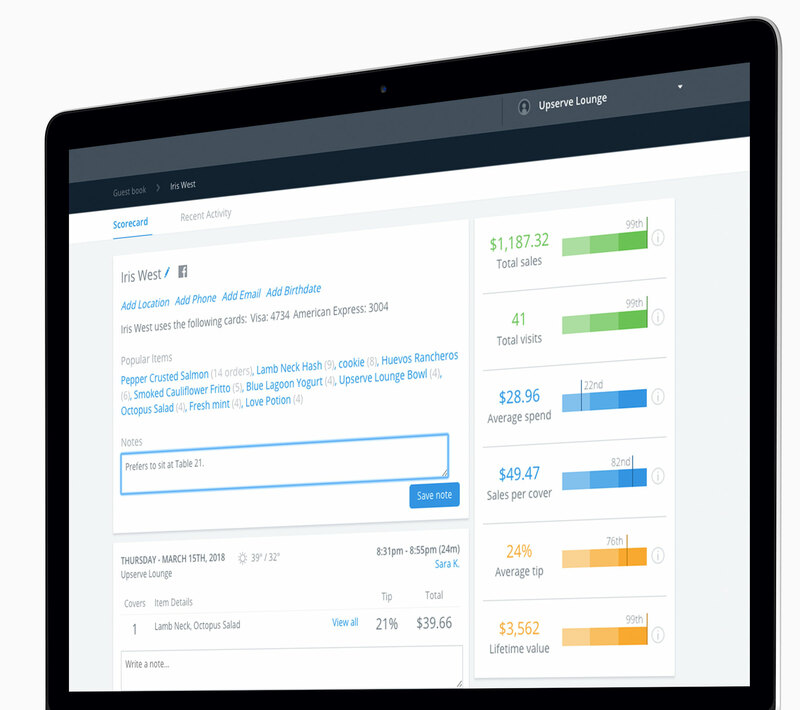 When your regulars make reservations, Upserve uses historical dining data to remember what they ordered last time, so you don’t have to. See which menu items will be popular with tonight’s repeat guests so you can avoid 86ing their favorite dish, and improve efficiency and upsell opportunities by allowing servers to make data-based judgement calls, like setting the table with red wine glasses in advance. 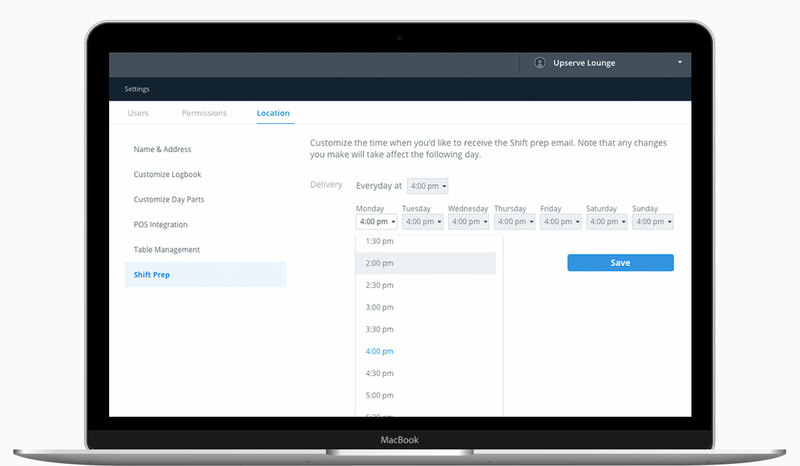 Upserve delivers Shift Prep at a custom time of your choosing so you can run your team’s pre-shift meeting armed with news of any late-breaking reservations, predicted problems or specials.